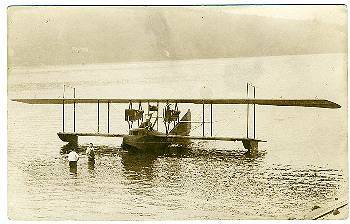 JACK257-"Seaplane, Naval Training Station, San Diego." 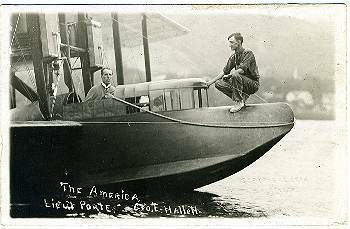 JACK258-Close-up of Lt. Porte and Geo E. Halleh and the AMERICA. 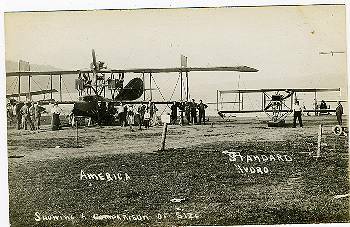 JACK259-This great photo shows a comparison between a standard hydroplane and the AMERICA. 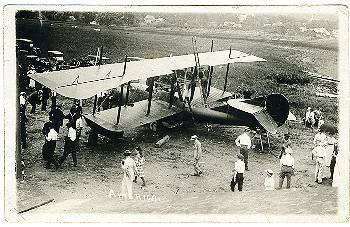 JACK260-A 1914 photo of the AMERICA including bystanders. 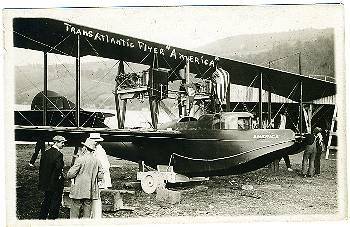 JACK261-A close-up of the TransAtlantic flyer, AMERICA. 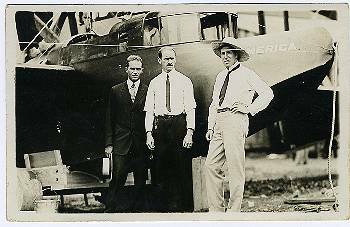 JACK262-A different photo view of the AMERICA. 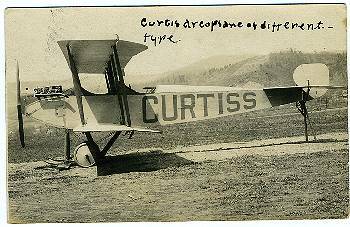 JACK263-Curtiss in the middle of two other men, and of course, the AMERICA. 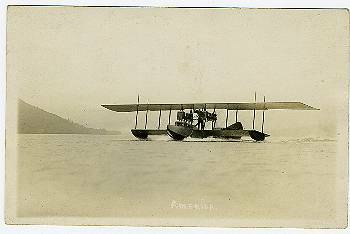 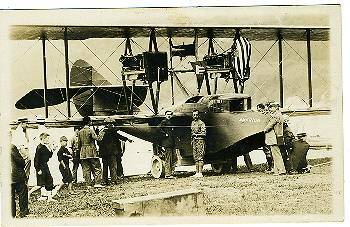 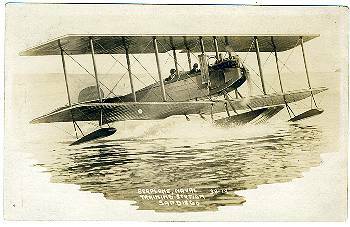 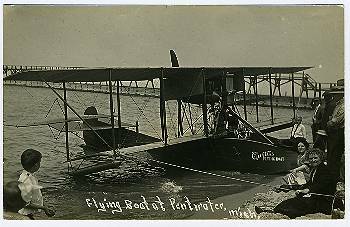 JACK264-Curtiss flying boat at Pentwater, Mich.
JACK266-AMERICA with two men in water. 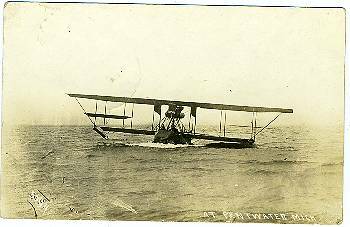 JACK267-Flying boat at Pentwater, Mich. 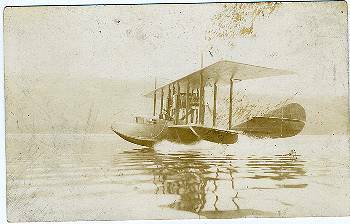 CANCEL: Hammondsport, NY, July 19th. 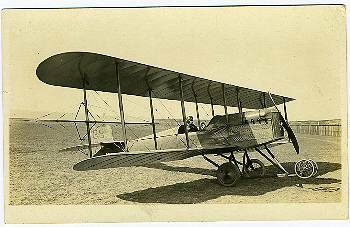 Handwritten date of 1915. 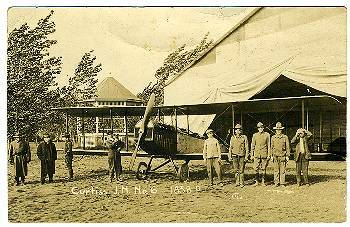 JACK271-Curtiss plane in front of temporary hangar. 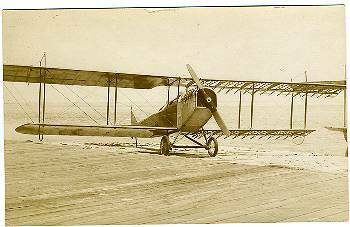 No.6, 1838 P.